Election Results: Telangana Rashtra Samithi chief K Chandrasekhar Rao has not lost a single election since 1985. KCR defeated his nearest rival in the just-concluded polls by over 50,000 votes. 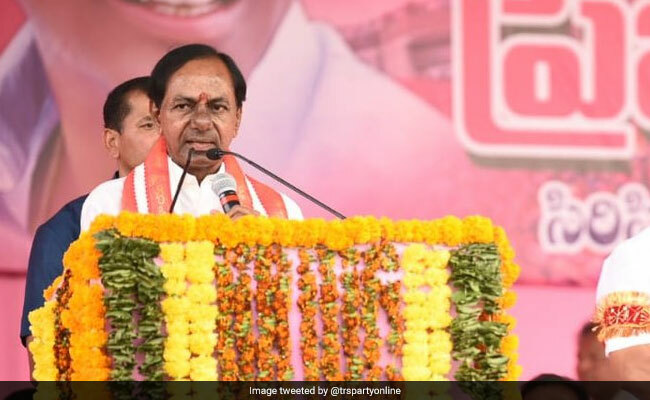 Telangana Rashtra Samithi (TRS) chief K Chandrasekhar Rao's re-election from the Gajwel assembly constituency by a huge margin on Tuesday proved a couple of vital points: One, he is a modern-day senapati capable of leading his party to much greater heights, and two, his track record of never losing an election since 1985 will remain intact for at least one more term. Mr Rao defeated his nearest rival, V Pratap Reddy of the Congress, by over 50,000 votes. This is a far greater margin than the 19,391 votes with which he had beaten Mr Reddy (then contesting as a Telugu Desam Party candidate) in the 2014 elections. The 64-year-old politician, who quit the Telugu Desam Party to float the TRS in 2001 amid a movement for a separate Telangana, was thrice elected to the Lok Sabha from Karimnagar and once from Mahabubnagar. He had represented the Siddipet assembly constituency in undivided Andhra Pradesh, remaining undefeated in six consecutive elections since 1985. The only time he faced an electoral loss was in 1983, when he debuted on a Telugu Desam Party ticket from the same constituency. A former central minister, the politician was elected to the Lok Sabha from Medak in 2014 but resigned to become the chief minister on the Gajwel assembly seat ticket. The victory in this election, the first in Telangana after its formation in June 2014, might act as a springboard for the leader to fulfill his ambition of playing a greater role in national politics. While son and cabinet minister KT Rama Rao is his heir apparent, Mr Rao's daughter -- K Kavitha -- is a Lok Sabha MP from Nizamabad. His nephew, Harish Rao, is also a minister.